Apple Inc's fiscal first-quarter earnings reveal that the company's struggles in China and in its critical iPhone business will continue, while analysts say the tech bellwether could reduce prices to remedy the situation. On Jan 29, Apple said revenue for the three months ended Dec 29 was $84.3 billion, off 5 percent from a year ago. Profit was $19.9 billion or $4.18 a share. Apple said revenue from the iPhone declined 15 percent from the year-ago period. 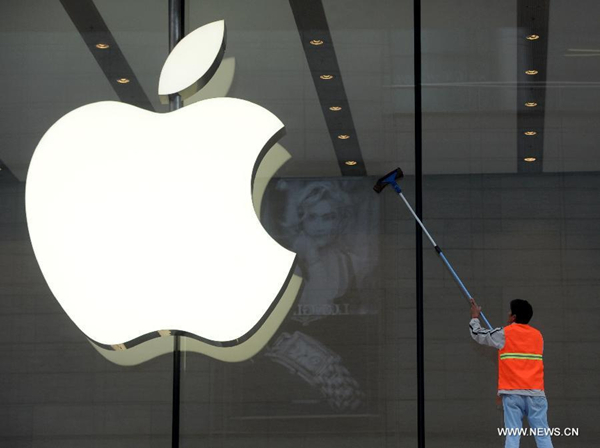 In China, Apple reported revenue of $13.1 billion, down sharply from $17.9 billion last year. Apple investors have been worried about China since the company last month lowered guidance for the quarter due to economic pressures in the region and weak iPhone sales. CEO Tim Cook also blamed trade tensions between the US and China for the slowdown in sales. "Apple and Cook face one of their most challenging growth periods in the company's history with weak iPhone sales in China being the 'albatross around its neck' showing no signs of abating over the next few quarters, a dynamic that will be an overhang on the stock for the next 6 to 9 months with the China trade talks adding to the agita for investors," Wedbush Securities analysts Daniel Ives and Strecker Backe wrote in a research note. "China is Apple's second most important market, after the US. China accounts for 3 in 10 of all smartphones sold worldwide, and it is a market Apple simply cannot ignore," Neil Mawston of Strategy Analytics told China Daily. Apple said its services division, which includes iCloud, the App Store and Apple Pay, saw revenue advance to $10.9 billion, up 19 percent over the prior year. The company said China's move to pause approving new games for the App Store last year is affecting revenue in the segment. "Manufacturing in the US is very expensive, and the high costs would slash Apple's giant profit margin and cause shareholder uproar. If any iPhone production is ever moved to the US, even after possible punitive tariffs or generous subsidies, the factory would be small, located in one of the poorer states to save costs, and probably only to do final assembly, not full design and production. If iPhone ever leaves China in a major way, it is far more likely to go to India or Vietnam," he said. Meanwhile, Apple said Wednesday that its retail chief, Angela Ahrendts, will leave the company in April after five years on the job. Apple did not give a reason for the departure. Ahrendts arrived at the company in 2014 after being chief executive of fashion retailer Burberry Group PLC. ​Apple Inc's fiscal first-quarter earnings reveal that the company's struggles in China and in its critical iPhone business will continue, while analysts say the tech bellwether could reduce prices to remedy the situation.